Stanley Douglas Walbank, who was born in Bradford in September 1917, commenced his operational career as a Sergeant Pilot in No. 87 Squadron, a Hurricane nightfighter unit operating out of Charmy Down, and St. Mary’s in the Scillies, in March 1941. A few days later, with operations limited as a result of poor weather conditions, the Squadron’s Operational Record Book (O.R.B.) reported that ‘Two new Sergeants unfortunately overshot and made the aerodrome look rather like a salvage dump’, therein, possibly, the reason for Walbank’s transferral to No. 247 Squadron that April, although as we shall see, he was in fact a capable pilot. Also by that stage allocated to night fighting duties in Hurricanes, 247 went fully operational on moving to Predannack that summer, but a spate of convoy patrols filled the void, Walbank flying three such sorties on 27 May alone. So, too, by way of proving his skills, 25 minutes of aerobatics on 20 July, an episode made possible by using a brake-test as his excuse to get airborne – ‘a rather dubious excuse, one might add’, according to the O.R.B. And the occasional “Scramble” – and numerous “Rhubarbs” and “Intruders” – followed in the period leading up to his posting to anti-aircraft co-operation duties with No. 286 Squadron in October 1942, the O.R.B. 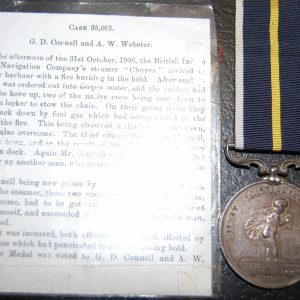 crediting him with carrying out a solo “Intruder” operation to Morlaix and Lannion in October, the same month that he was sent to Colerne to gain experience with Havoc “Turbinlite” aircraft. ‘Flight Sergeant Walbank took-off at 0200 to intrude on the St. Briene-Rennes railway. He had quite an interesting trip, although an unproductive one. Near Lamballe he saw a well lighted chateau with two men standing on the front steps. He restrained a strong desire to shoot them up, in case they were French, and moved on. At Montauban, and again near Rennes, he saw a train, but in both cases left them alone, as they were passenger trains – although probably full of Hun troops. He toured around a bit longer, both along the main line and up and down the branch line from Rennes to St. Malo. Eventually, he left the country at Painpol, having been over enemy territory for an hour’ (247’s O.R.B. refers). 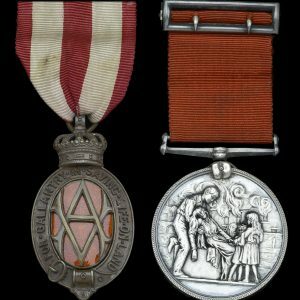 Awarded the A.F.C. for his subsequent services in No. 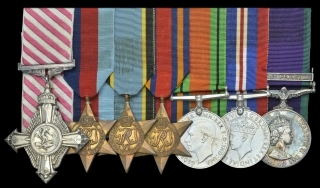 286 (Anti-aircraft Co-operation) Squadron 1942-44, in which period he was commissioned as a Pilot Officer, presumably Walbank was next transferred to the Burma front. 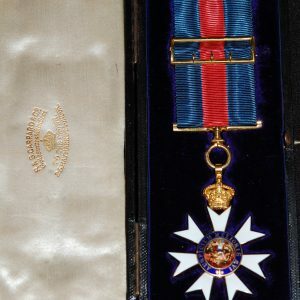 Having then been placed on the Reserve at the War’s end, he obtained a regular commission as a Flight Lieutenant in May 1948, served in the Malay Peninsula in the mid-1960s, and was finally placed on the Retired List in July 1969; sold with the recipient’s original Buckingham Palace forwarding letter for his A.F.C.